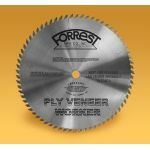 This commercial-quality blade is ideal for rip and cross cutting two-sided plywood, whether finished or unfinished. It is also perfect for cross cutting solid woods. In fact, there’s no comparable blade on the market today. • The PVW’s list price is less than our Duraline Hi-A/T. • It delivers flawless cuts without splintering or fuzz. You never have to worry about chip-outs on top or bottom surfaces. No scoring blade is needed. • It lasts up to 300% longer between sharpenings. The PVW is made of super-strong C-4 micrograin carbide for extra durability. Like other Forrest blades, it is hand-straightened to ensure perfect flatness and has a side runout of +/- .001. The PVW is superbly engineered. 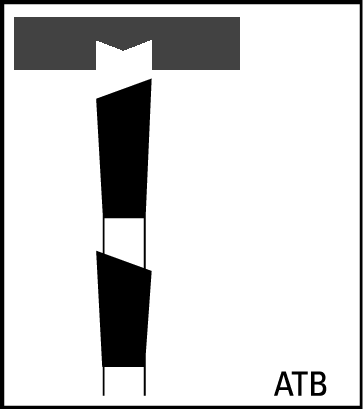 It features a 10º hook, 70 teeth, and a high alternate top bevel grind. You can count on this exceptional product to give you vibration-free performance and long life. 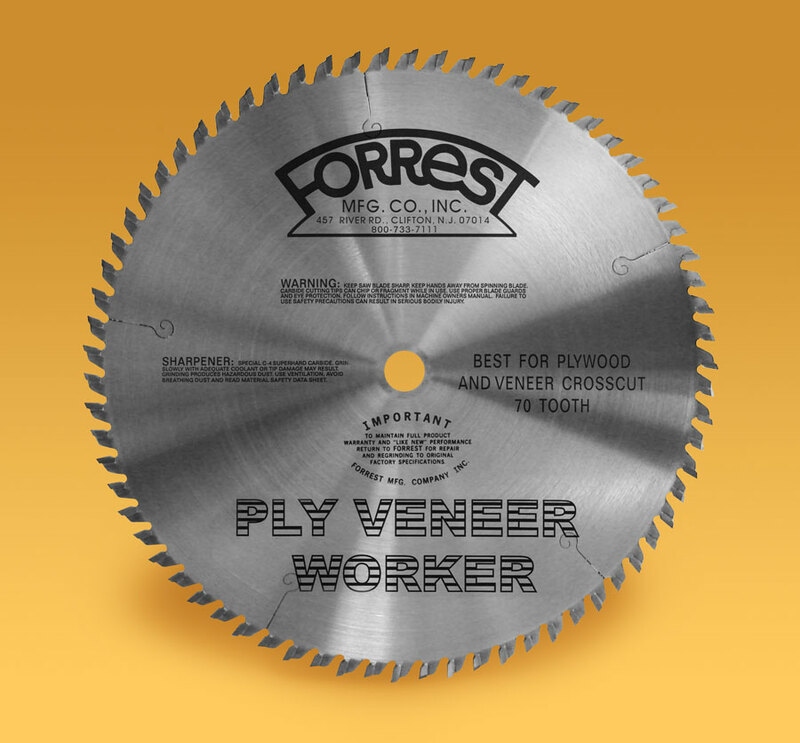 Ply Veneer saw blade is ideal for rip and cross cutting two-sided plywood, plywood veneers and cross cutting solid woods. Provides splinter-free cuts without chip-outs on top or bottom surfaces.